How much tech do you use during your workday? If you find that you’re not using it a lot, there are apps out there that can help streamline some of your processes or make keeping track of finances easier. Here are a few apps we recommend using at work and are worth free up your iPhone’s storage for. Evernote allows you to snap photos of business cards, create to-do lists, and more. You can create text, photo, audio, and video notes, and check boxes to check off things once complete. Evernote also allows you to share notes with others via text or e-mail. Advanced versions of the app offer text search in PDF’s, presentation tools, and offline access to your notes. For those who have to juggle their bills and finances, Mint allows you to easily keep everything in one place. You can get a notification sent via push message or e-mail of when your bills are due, categorize your expenses, and also keep track of your 401K. Mint also features 256-bit encryption and a 128-bit SSL Certificate to ensure that your data stays safe and secure. 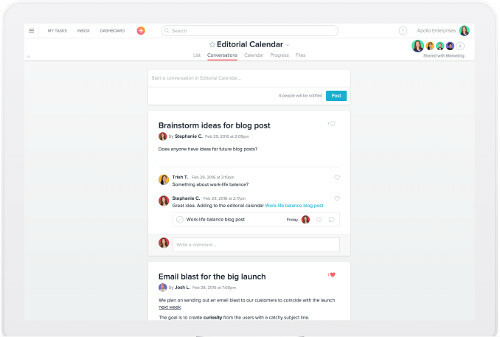 Asana allows you and your entire team to work smarter. You’ll be able to track projects from start to finish and have conversations with others in your workplace. You can see what’s left to do and set up different team pages for different departments. You can also attach files from your computer, Google Drive, and Dropbox into a project. There is also an enterprise solution for larger businesses that allows customized branding, enhanced security protections, and integration with Salesforce. Those that work at a desk might find it tough to stay productive. With Tide, you’ll be able to work in increments and get notifications when it’s time for you to move on to your next project or take a break. While you’re working, you can listen to natural sounds like rain, oceans, forest, or meditation. You also have the option to just have white noise on in the background or use music currently loaded on your phone. 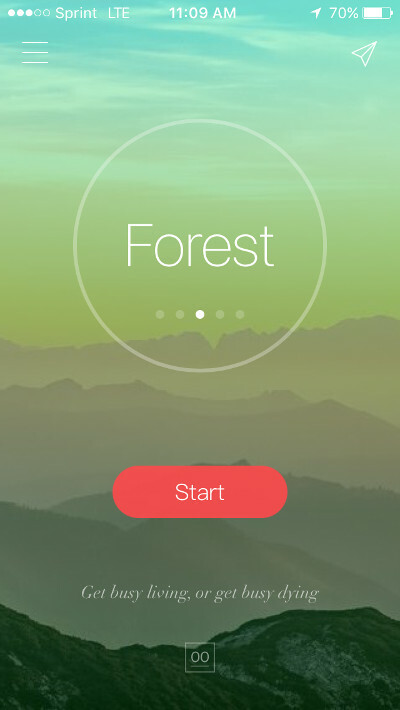 Its minimalist design allows you to easily use the app while focusing on your work. If you have a lot of business travel within your company, you know how tough it can be to keep track of all your expenses. With Expensify, you’ll be able to take a snapshot of receipts and connect with apps like Uber, Lyft, HotelTonight, and more to put everything from one trip altogether. If you need to reimburse employees for their travel, Expensify can also allow you to add up all necessary data and also set limits so that way someone is notified if they go over their per diem. Need some accessories for your favorite devices? Shop from our selection of tech products.